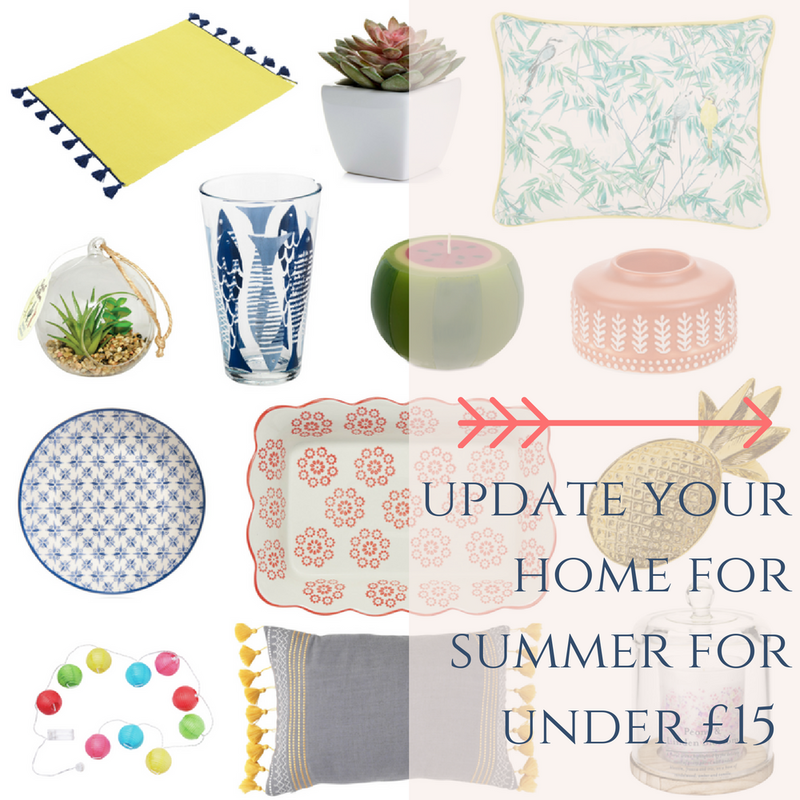 I absolutely love writing these budget seasonal update posts (mainly because it gives me an excuse to trawl through all the home stores! ), and what with summer being my favourite season, I've really been looking forward to sharing this one! This series of posts was born out of my love of changing things around in my home, and refreshing it a bit for each new season. However, I always keep this to a tight budget, so all my Summer 2017 finds are no more than £15. How amazing are those tasselled placemats?! I can just imagine jazzing up a BBQ with those, and giving your table and chairs a summery Morrocon makeover with those tea lights and serving dish. 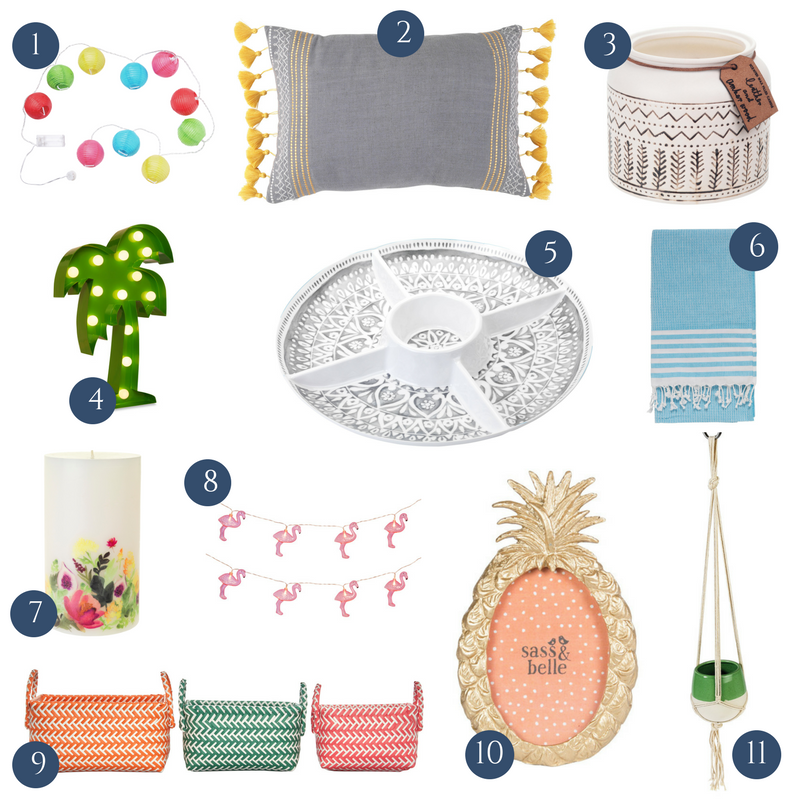 You can't go wrong with some pretty outdoor lights (and why not some flamingo-shaped ones?! ), but how amazing is that serving dish. Chuck some nachos and dip on there and you're onto a winner. Anything tropical is still big news for this season, so I couldn't help but pick some bits featuring pineapples and cactuses. Also, what about some brightly coloured cushions to jazz up an outside bench, and how pretty is that Peony & Blossom candle and cloche? Perfect for adding some summery scents to your home. 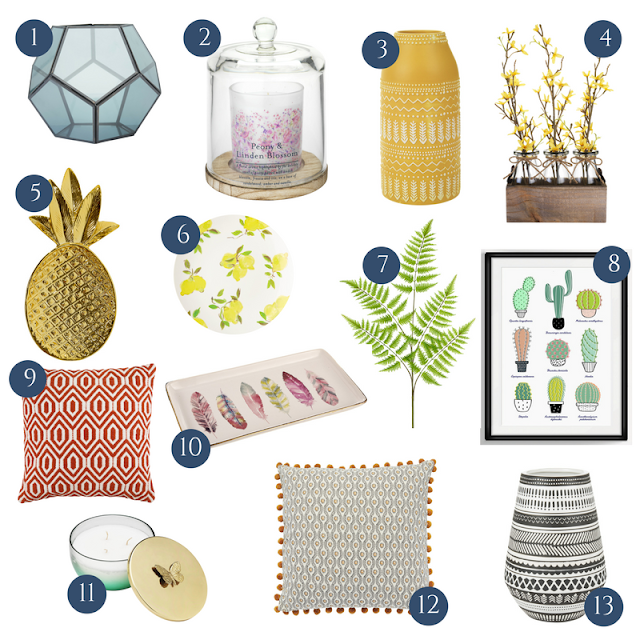 Hope this has given you some inspiration for updating your home for the new season - what have you got your eye on? This is an awesome post! Beautiful picks (: I love home decor! I'm always trying to find new affordable pieces for the home! Great post! Super cute Items, Definitely getting plenty of ideas! I need to revamp my house for the summer. What a great idea, I love it! 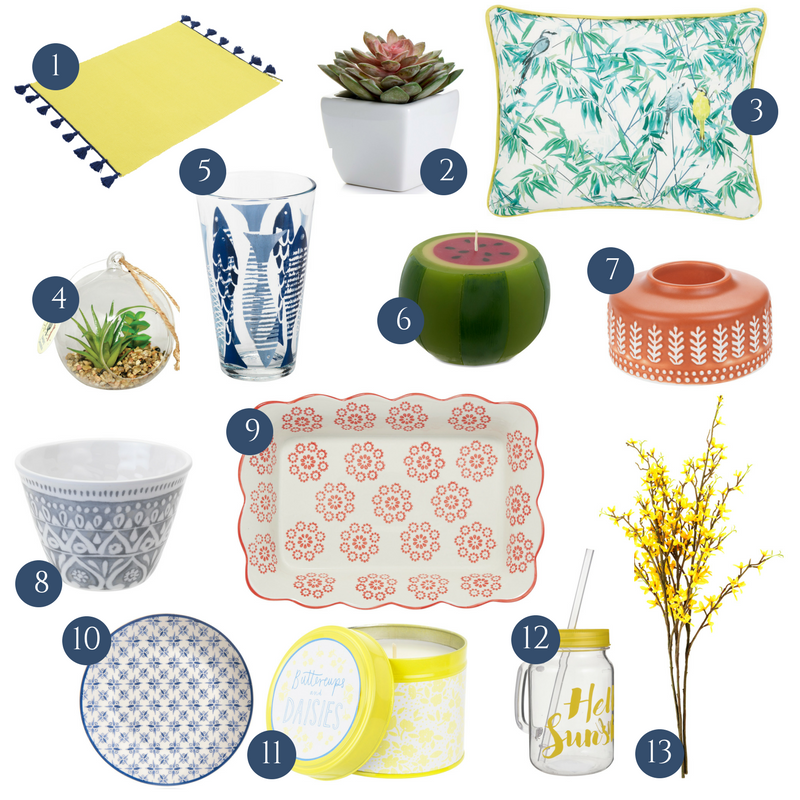 You can easily afford to keep up with home decor trends with this handy and stylish guide. Following! OMG these are some fantastic ideas! Totally love them! You've got some great finds here! I don't usually do the whole decorate for a season thing (largely because I'm too lazy hahaha) but with the money I've sunk into redoing our backyard I am on a mass decorating spree this summer! Thank you so much for reading! Any excuse for a decorate! Thank you so much for the tips! Def going shopping soon. Thanks so much for sharing a couple of our products!